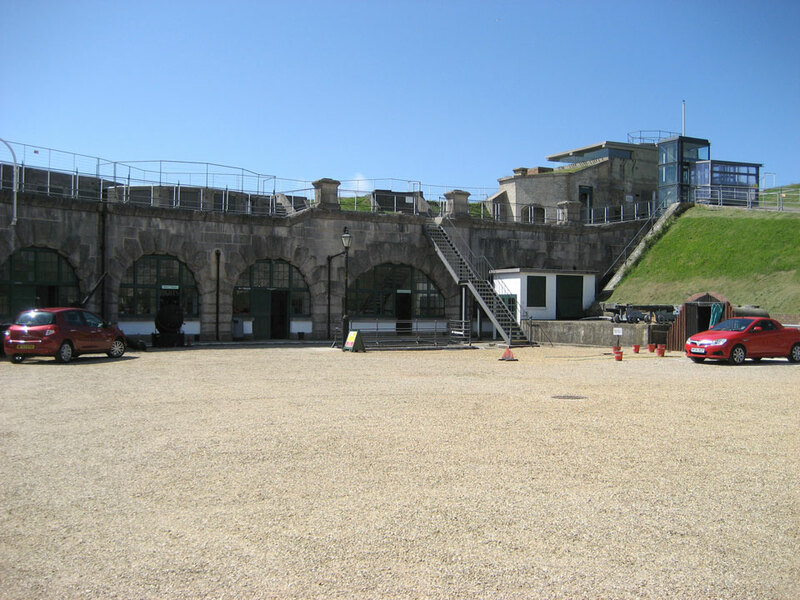 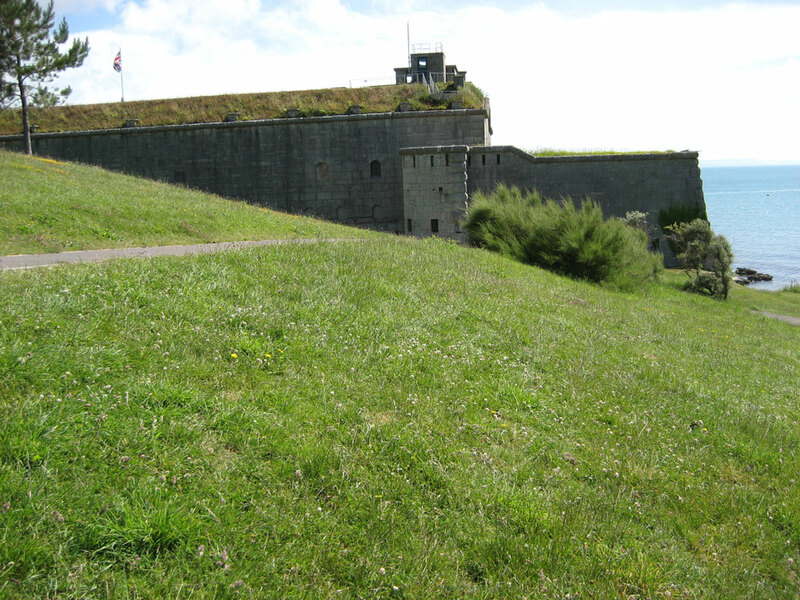 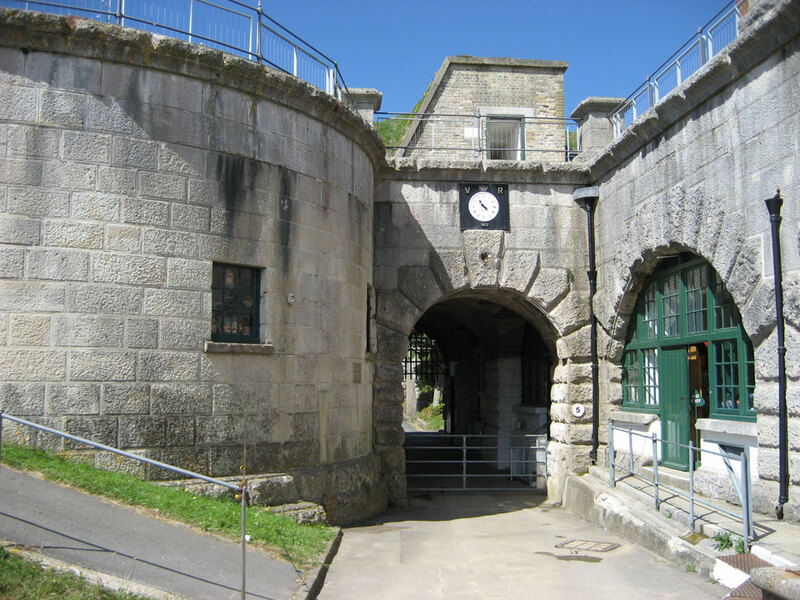 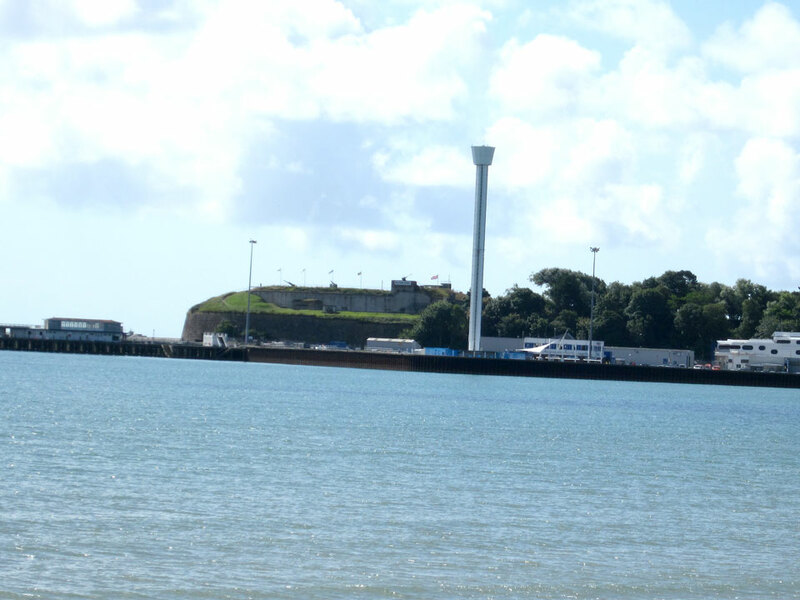 The Nothe Fort was built from Portland stone between 1860 and 1872 on the site of a 17th Century Civil War fort. 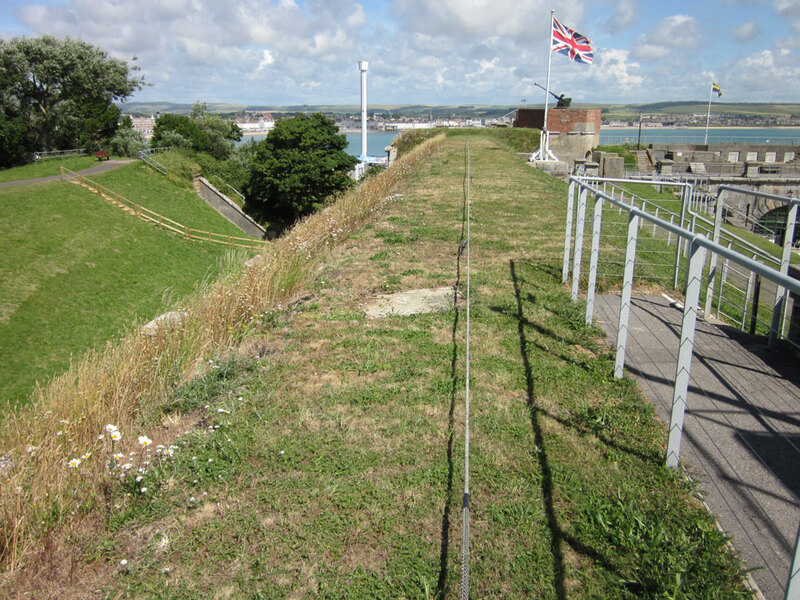 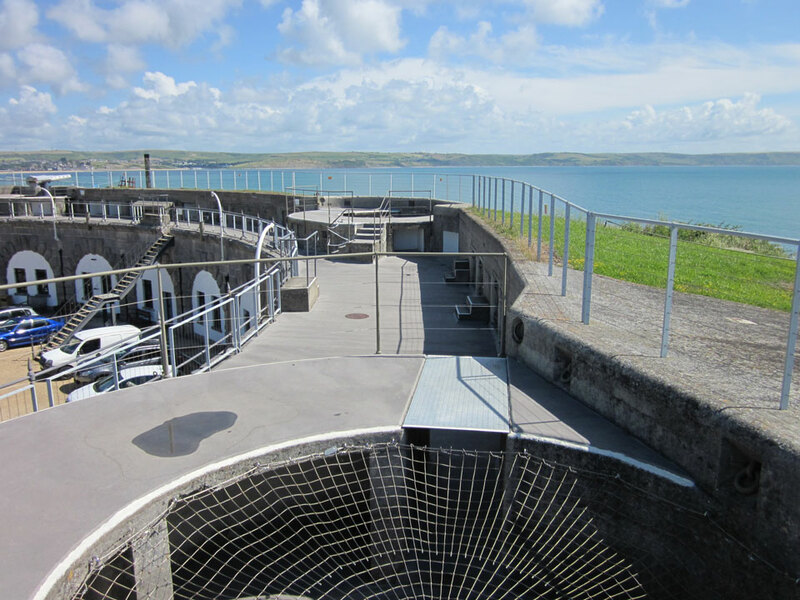 It was armed with a 12 gun battery of 9" and 10" cannons as part of the Palmerston defences to protect Portland Harbour. 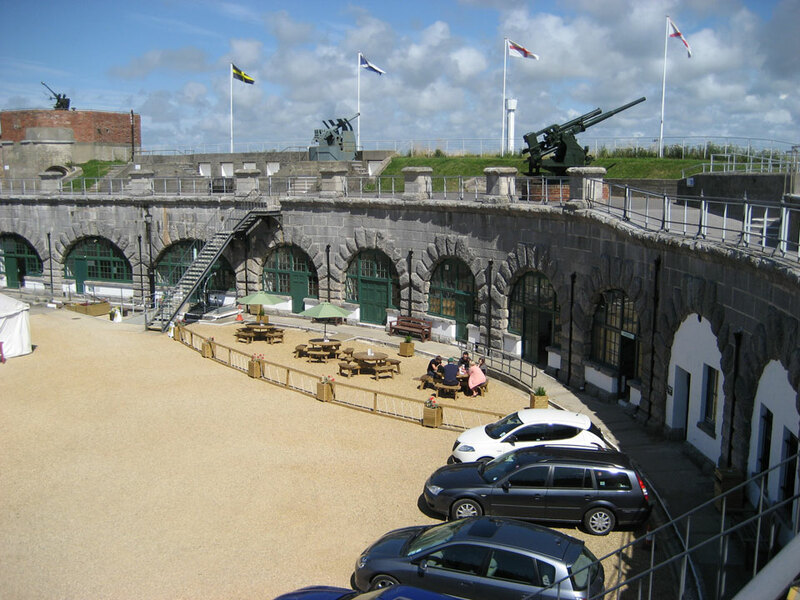 The armament was updated in 1888 with the introduction of seven of the massive 38 ton 12.5 inch guns but these were replaced by three modern six inch guns in 1902. 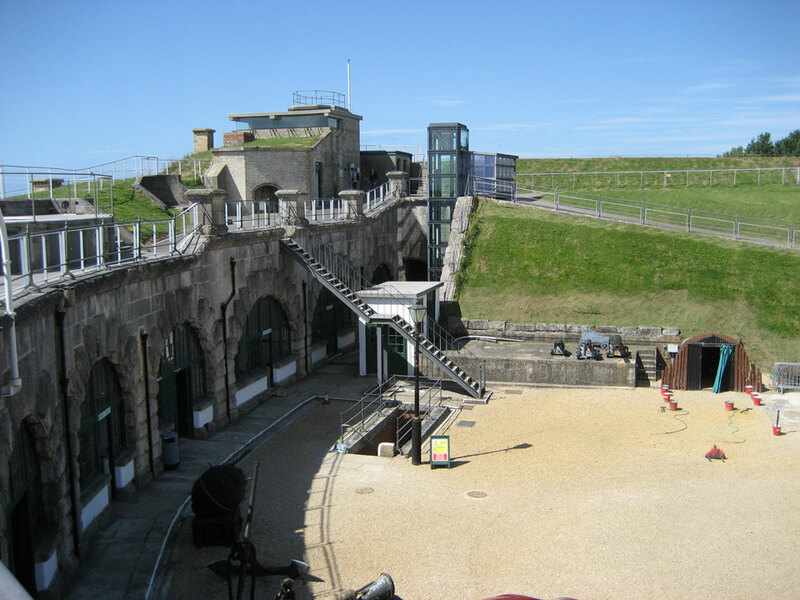 It was in use until 1956 and since 1979 it has been restored and opened as a museum by Weymouth Civic Society. 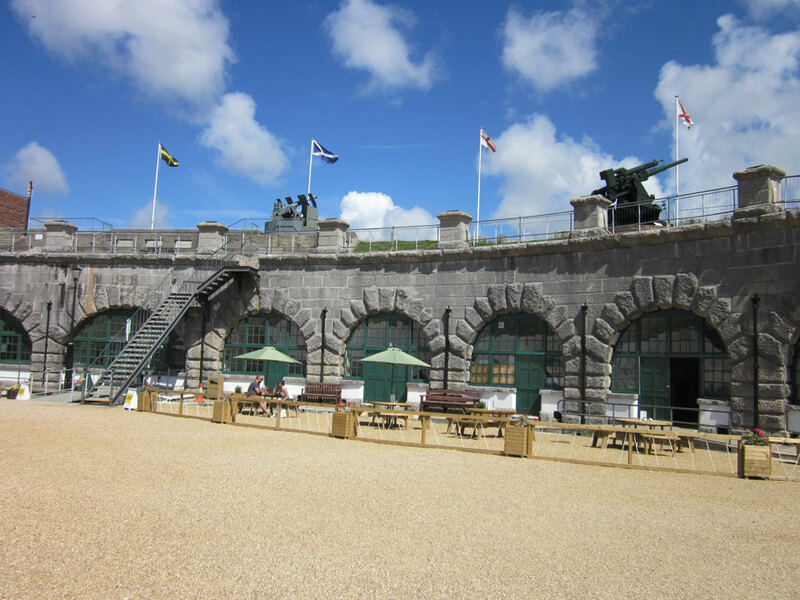 Open daily May - September and Sundays the rest of the year.